Struggling with a stressful electrical issue? Fed up with faulty breakers? 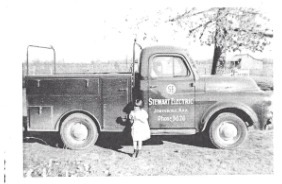 At W. A. Stewart Electric Co Inc we’re here to provide you with a solution. Whether you’re in need of a basic outlet replacement or a full-building wire repair, our team of experienced electricians will arrive at your location and have a plan of action to solve your problem. Struggling with trouble shooting problems or looking for more energy efficient alternatives? We can install outlets, repair wiring, add energy saving fixtures and much more. Our electricians are ready to repair those flickering light bulbs, faulty switches, exposed wiring, and any other electrical repair you may need. No matter the need, we're confident we can supply a variety of solutions for common electrical problems ranging from inefficient lighting to total wiring installations. Our technicians are ready to serve you and provide practical, effective solutions to any and all your electrical problems. We have worked with churches, hospitals, small businesses, schools, and lots of other kinds of commercial buildings! Get your business operating smoothly again by giving us a call today! We provide industrial work relighting, LED retrofits, pole light repair, adding power for new equipment, expansions, electrical equipment upgrades, repairs and more! We also have provide structured cabling, new systems and equipment, or adding data drops. We pull and terminate RG6, CAT5, CAT5E, CAT6, CAT6E, fiber optic cable and various other cables.We can furnish security systems and fire alarm systems as well as audio video systems for your buildings. Contact us today for more information!